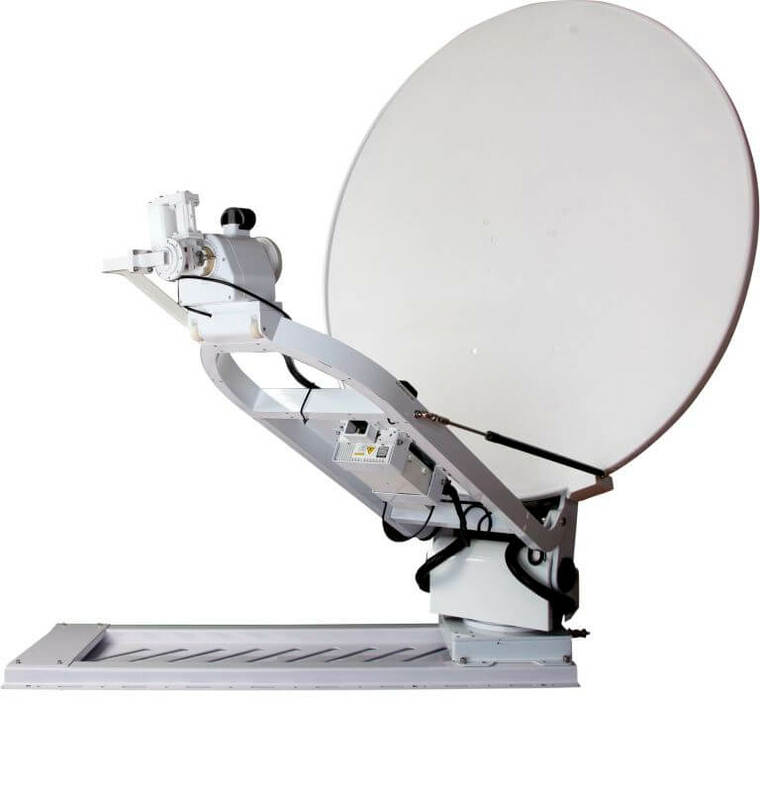 AuraSat 120KU VSAT is an advanced, vehicle mounted Ku-band 1.2m automatic antenna system offering flexible and easy installation onto any vehicle’s roof bars, capable of accurately acquiring virtually any satellite without operator training. AuraSat 120KU VSAT is an easy to use, light-weight and cost-effective solution for modern Satellite News Gathering and VSAT applications. The antenna controller makes pointing to any visible satellite quick and simple. Using a compass, inclinometer & GPS the AuraSat 120KU VSAT automatically locates the selected satellite and guarantees a fast an accurate point. The antenna also has full manual controls. When stowed the low profile antenna adds approximately 30cm to the vehicle height, and at around 60kg the antenna system can be mounted onto almost any vehicle.